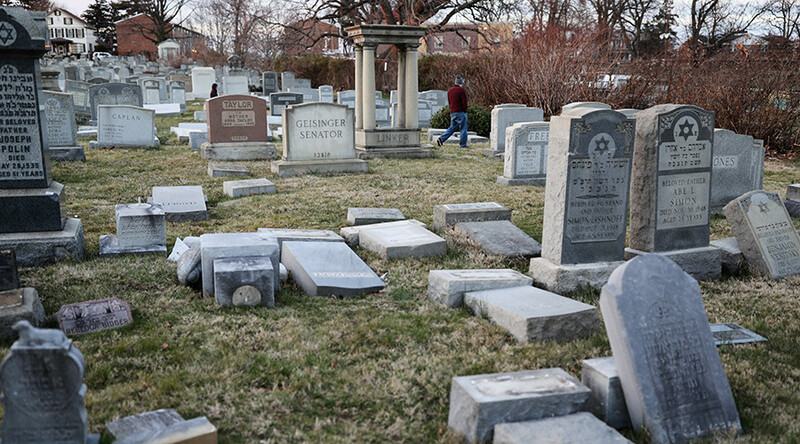 Dozens of tombstones at a Jewish cemetery in Philadelphia were discovered toppled and damaged, according to media reports. Police classified the incident as an act of vandalism, the second in a week since the desecration of a Jewish cemetery in St. Louis. The discovery was made on Sunday morning at the Mount Carmel Cemetery in the Wissinoming neighborhood of Philadelphia by a local man who came to visit the grave of his father. Police say up to 100 graves were affected, while locals claim up to 500 tombstones had been overturned, according to ABC6. The incident is being classified as institutional vandalism, but investigators have not yet established a motive, Detective Jim McReynolds of the police department's Northeast Detectives Division said, as cited by the Washington Post. He added that only the Jewish section of the cemetery seemed to have been affected, while the cemetery also has Christian, Quaker and Muslim sections. In a statement released Sunday evening, the police department said the headstones were torn down sometime after dark on Saturday. Police don’t have surveillance footage of the attack, or any witnesses who could help identify the assailants behind the act. ABC6 reported that a local rabbi and a group of people of all faiths worked at the site on Sunday trying to restore the graves. The Anti-Defamation League, a US-based Jewish non-government organization fighting anti-Semitism, offered a US$10,000 reward for any information leading to the arrest of the cemetery perpetrators, while the Fraternal Order of Police Lodge #5 will give an additional $3,000. Pennsylvania Governor Tom Wolf slammed the incident on Twitter as a “cowardly, disturbing act” on Sunday afternoon, stating that perpetrators must be held accountable. As it is hard to say how much the repairs will cost, a fundraising campaign has been launched by local activists on gofundme.com. The vandalism at Mount Carmel comes just a week after a similar incident at a Jewish burial ground Chesed Shel Emeth Cemetery in suburban St. Louis, Missouri, where several dozen headstones were toppled on February 20. US Vice-President Mike Pence personally helped clean up the toppled graves and strongly condemned anti-Semitism. 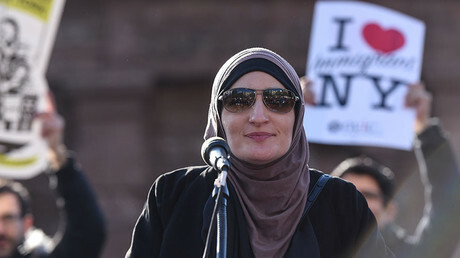 Two prominent US Muslim activists, Linda Sarsour and Tarek El-Messidi, started a fundraiser which collected more than $57,000 for repairs of the cemetery to show that Muslim Americans stand “in solidarity with the Jewish-American community to condemn this horrific act of desecration” against the burial site. Both incidents come amid intensifying reports of anti-Semitic incidents in the US. For instance, last week six states reported bomb threats against Jewish community centers (JCC). Overall, around 50 US-based Jewish centers have received bomb threats since the beginning of the year, according to the JCCA, an association of JCCs. No bombs have been discovered at any of the sites, however.